Each aspect of the IIMIF program has been crafted to cultivate technical and artistic growth. With a maximum enrollment of 35 participants, we offer a challenging curriculum within a supportive atmosphere. 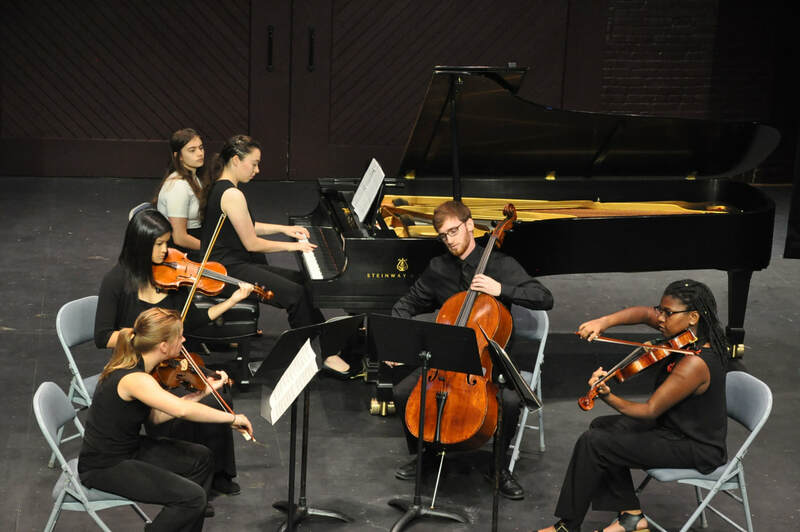 Chamber music explores the essence of being a musician, and is the crux of the IIMIF program. Ensembles are assigned before the start of the program, based on audition and application materials (note: pre-formed groups are welcome). Each day ensembles are given a minimum of two hours of rehearsal time, and are coached by faculty and guest artists. 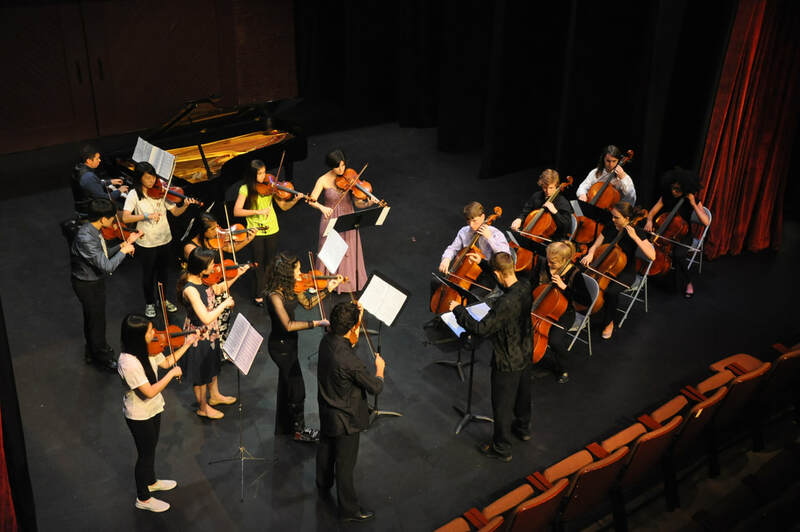 Performance opportunities include masterclasses and the final chamber music concert. ​Our faculty are dedicated to guiding participants in honing their technical and artistic skills, providing them with feedback that can be applied immediately and explored well beyond the conclusion of the program. 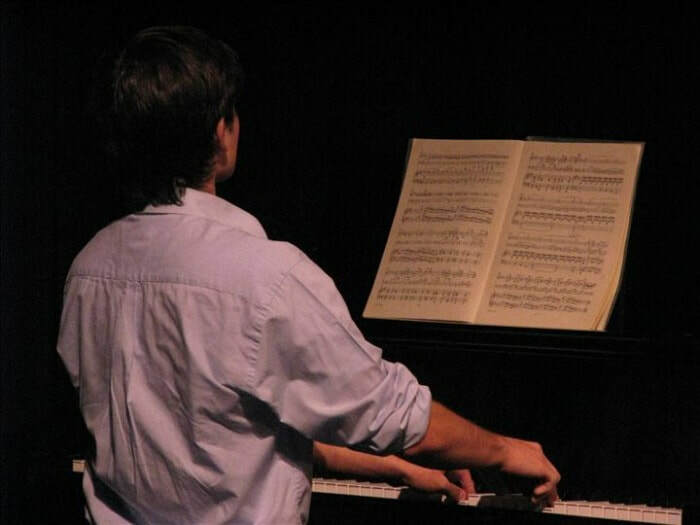 Each participant will receive three private lessons focusing on their solo repertoire. 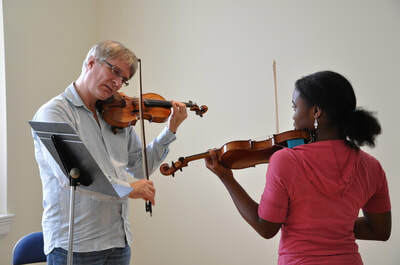 ​Masterclasses (solo and chamber music) offer additional learning opportunities, both for participants and observers. ​Performances motivate participants to work towards a concrete goal, and celebrate the effort that has been put forth. Students may participate in the optional solo recital. All participants will be featured in the ensemble concert at the end of the program. ​Additionally, a select group of participants will represent the program during the post-program IIMIF Concert Tour. 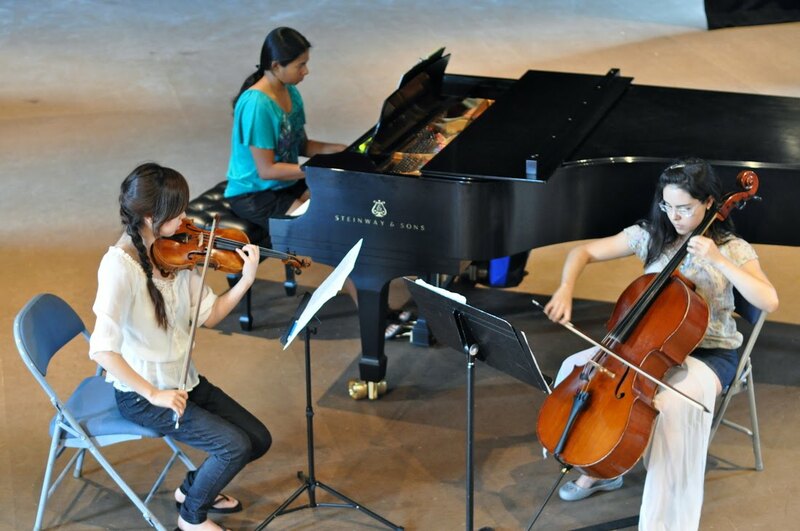 ​Faculty and guest artists present solo and chamber music in recitals on and off campus. In addition, faculty present panel discussions on topics including effective practice methods, performance anxiety, and careers in music. 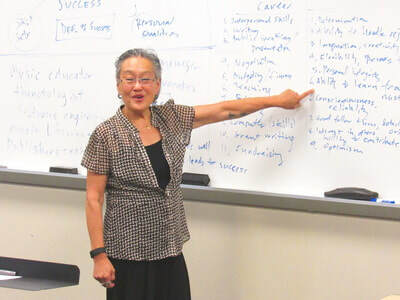 Individual faculty present seminars on a variety of topics pertinent to technique, artistry, and life in music. 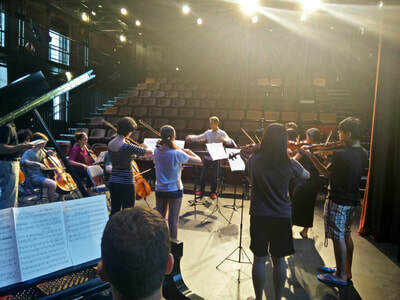 ​A chamber orchestra is an ensemble of soloists, working together as a team. Enjoy this vibrant experience. This ensemble meets several times during the program for short but intense rehearsals, and will perform at the conclusion of the program. Past repertoire has included the premiere of new music written especially for IIMIF. 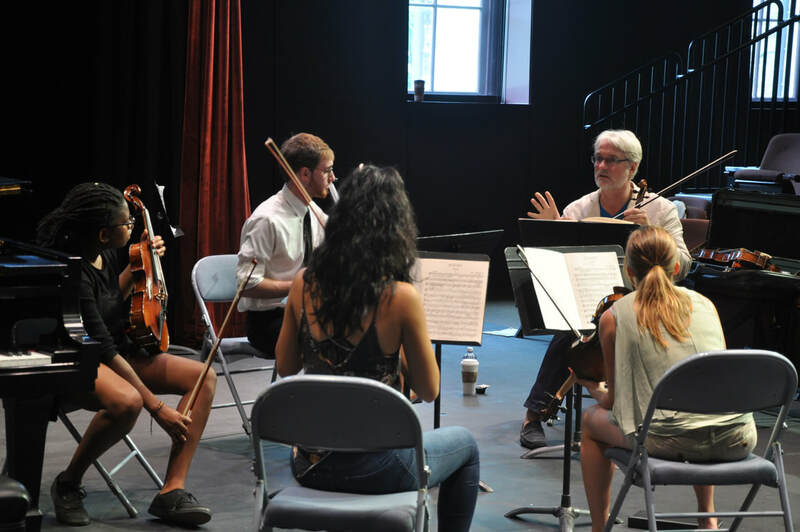 ​Our curated selection of interdisciplinary arts experiences provides participants with a comprehensive perspective on life in and around music. 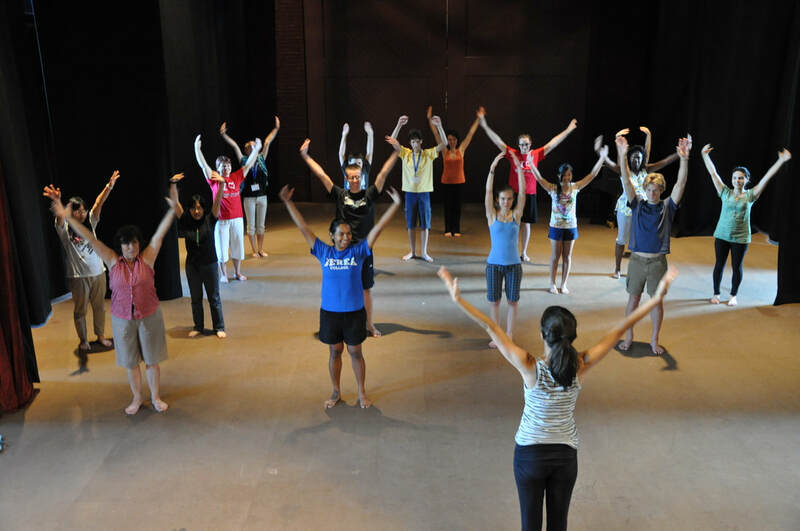 Become a more expressive and communicative person (and performer) through workshops exploring movement, improvisation, stage presence, and more. In addition, faculty lectures address the skills and pathways to a variety of careers in music. ​Mind, body, and spirit are re-energized with a daily guided yoga practice. These gentle, low-impact stretches are designed to relieve stress from key muscle groups of the neck, shoulders, wrists, hands, lower back, and calves. You will learn essential postures that stretch, strengthen, improve mental focus, increase breath control, prevent injuries, and bring ease to your practice and performance. Learn a repertoire of "ah-mazing" yoga that will last a lifetime! ​Each evening, we gather to review our experiences and to strengthen community bond. This guided group exercise encourages us to remember all the take-home points from that day, to acknowledge each other for being a critical part of the growing experience, and to discuss any questions or concerns. ​​Additionally, during the week, IIMIF alumni return as special guests to share their experiences in the world of music, from auditions and competitions, to similarities between music and athletics, to performing music in hospices and detention centers. IIMIF aims to nurtures a sense of support and camaraderie between all participants. We have been excited to see that the community ties that begin at our program are often the start of a lasting connection. Recently, we found out that students from our very first program (2003) are still in touch with each other, criss-crossing the globe for visits and musical collaborations! Many students have remarked that they were not sure what to expect when coming in to the program, but were welcomed and reassured from the onset by the enthusiasm of their colleagues and IIMIF staff. "Everyone was so welcoming and I made incredible friends to last a lifetime. The 10 days went by so fast, and it's amazing to be having so much fun yet be learning nonstop. This was a musical experience to remember and I would wholeheartedly recommend it to others." -Carolyn S.
"At the end of the program, you not only have lifelong lessons, but friendships to take back home with you.” -Sam Z.